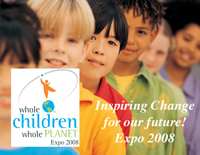 Back by popular demand … The Whole Children, Whole Planet Expo 2008 - Inspiring change for our future! Be part of the solution. Kathy Arnos, Creator and Producer of Whole Children, Whole Planet, feels the newly formed Advisory Board will further support the already strong integrity of the premier natural parenting and family expo's sustainable and unique mission. Whole Children Whole Planet - http://www.wcwpexpo.com - will present its second annual premier natural parenting and family expo on May 17-18, 2008. The event is designed to educate and empower both the young and the young at heart (and all those in-between) about the benefits of safe, natural and non-toxic products (body, personal care, cleaning, building, gardening, etc. ), sustainable living practices, enrichment learning programs, holistic medicine, organic foods (without sugar, food dyes, chemicals or preservatives) and important environmental issues to protect our children and the planet. In an effort to sustain the highest of environmental and holistic integrity in the creation of the Whole Children, Whole Planet Expo, Arnos has recently formed an Advisory Board. 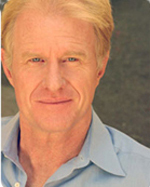 http://www.wcwpexpo.com/AdvisoryBoard.html The carefully selected Board members are true experts and respected individuals with vast knowledge and passion within their fields, and the community. Lynne Paige Walker, Pharm.D., RPh., MTCM, LAc.,D.H.M. 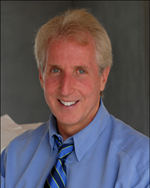 - Holds a doctorate in Pharmacy, a master's in Chinese herbology and acupuncture, and a doctorate in homeopathy. She is the co-author of seven books including Nature's Pharmacy For Children (Three Rivers Press). Mary Cordaro - Healthy home environmental specialist, Certified-Bau-Biologist, and the President and Founder of H3 Environmental®, a healthy home products consulting group. Join us for two days of entertainment and education. Three Stages • Celebrities • Prizes • Samples • Natural Products • Food Court • 200 Exhibitors • Enrichment Village • Zero Waste Station • STAR Eco-Station's Walk-Through Rainforest and much more … Fun for all ages. Whole Children, Whole Planet Expo was established in 2005 to address a need in our society for guidance in raising healthy children (and adults) mind, body and spirit. Parents have questions … we have answers. Our mission is to inspire change by engaging both children and adults through education and demonstration - an opportunity to be part of the solution. The event will empower families by providing them with information and the tools necessary for informed decision-making, as well as offer simple action plans to help preserve the planet for our future.